Tablets and laptops with Intel's 7th Generation Core chips code-named Kaby Lake should become available in the coming months. Intel is shipping Kaby Lake chips to PC makers now, CEO Brian Krzanich during Intel's earnings call Wednesday. Systems with new processors usually become available a few months after Intel delivers the chips. Kaby Lake will succeed current Core processors named Skylake. The new chip has the underpinnings of Skylake and won't necessarily be smaller in size, but it'll provide speed improvements over its predecessor, Krzanich said. That raises a question: should you wait a few months for Kaby Lake instead of upgrading to a Skylake PC now? Experts generally say you should buy a PC as and when you need it rather than wait for the next improvement to come along. Nevertheless, Kaby Lake PCs should come in some interesting shapes and sizes. Intel usually first releases Core M versions of a new processor first, suggesting some innovative mobile designs. Skylake was originally to be followed by Canonlake, a 10 nanometer shrink of Skylake. But last year Intel pushed out its 10 nanometer plans and introduced Kaby Lake as an interim product, with some design tweaks to boost performance. 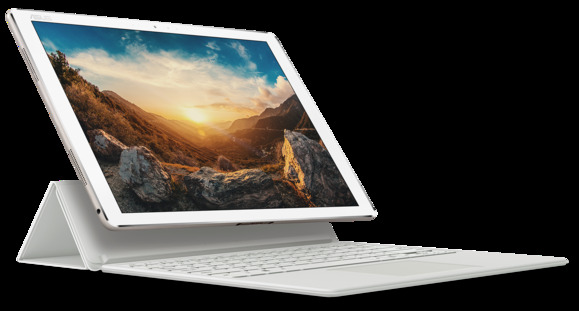 At Computex last month, Asus showed Transformer 3, which resembles Microsoft's Surface Pro tablet and runs on Kaby Lake. It has a 12.6-inch screen, weighs 695 grams and is 6.9 millimeters thick. It can be configured with a 512GB SSD and up to 8GB RAM. Asus said it would be priced starting at $799. No other major PC maker has announced a Kaby Lake PC yet. Lenovo and Acer are holding PC-related press conferences ahead of the IFA trade show in Berlin in early September. Kaby Lake PCs could also be shown at the Intel Developer Forum in San Francisco next month. Intel has said 400 devices with Kaby Lake will ultimately become available. Microsoft's Surface PCs and Apple's MacBooks could also get Kaby Lake chips. Competition to Kaby Lake will come from AMD's chips code-named Bristol Ridge, which reached a handful of PCs earlier this year. AMD's chips excel at graphics, while Intel chips are better at preserving laptop battery. Intel in April said it would reshape its business to focus less on PCs and more on data center products, internet of things and connectivity. The PC market has been slumping for years and has hurt Intel's profits. Krzanich expects the PC upgrade cycle to pick up in the second half this year, mainly in enterprises. Demand for PCs was slightly better in the second quarter, but should continue to decline in the high single-digit range for the rest of the year, he said.